Halloween has long been a popular celebration in the US, but in recent years the ‘holiday’ has crossed over into other markets, where – as in the US – it has shown impressive growth over the last 5-years. In the US, total spending on Halloween has grown by more than $1-billion since 2012, and Halloween spending in the UK topped £310 million in 2017. Much of that spending is limited to candy, treats, decor, and costumes, but businesses in other industries can also benefit through clever marketing that piggybacks on the popularity – and fun – of Halloween. 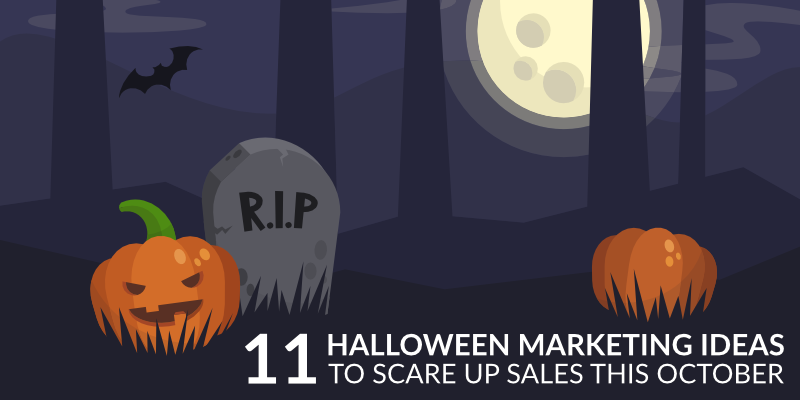 Only making a few changes to your branding can come across as a weak and lazy effort – much like just putting a pumpkin on your front stoop, without even carving it – so look beyond that by reading through our 11 Halloween marketing ideas that will do a lot more to scare up sales for your business. And before you mutter that it isn’t easy for some businesses to link their industry to Halloween, consider how The Heart and Stroke Foundation of Canada used a little Halloween horror in a marketing campaign to promote awareness of CPR. November is CPR Awareness Month, but they ran the campaign in October, and made it very relevant to Halloween. Halloween isn’t as big as Christmas, but that shouldn’t be used as an excuse to forego adding any Halloween elements to your branding. That said, you don’t need to go all out with your Halloween branding efforts. The most obvious changes to make are to the cover and profile photo for all social media platforms you are active on. You can either change your profile image to something Halloween related, or just add Halloween related elements to your existing profile image – either way it should be simple enough to notice, and to tell what it is. Your cover image is your opportunity to go big – retain some branding, but don’t just slap a few Halloween elements onto it; if you’re running any promotions for Halloween, include text in your cover image that conveys this. Doing something as simple as changing your social media images not only alerts customers to the fact that you have some ‘holiday’ spirit, but also allows them to see how they can benefit from supporting you. Customers who already follow you on various social media platforms won’t always see your cover image, but they will see your promotional offers in your regular social media posts. The cover image is meant for customers discovering your brand by searching for your name or products/services on social media platforms, and could encourage them to explore your feed further to see what other offers you have available. Leading on from making changes to your social media branding is the need to adjust your social media marketing strategy to include a themed campaign for Halloween. This should already be happening for other big events – such as Christmas, Valentine’s Day, Mother’s Day, Black Friday, and more – but if you’d previously forgotten about Halloween, now would be the time to fix that omission. For hardware or camping supplies stores, put together posts that highlight the products you sell that could be used to defend oneself against zombies, vampires, and witches. Depending on your market, you can either be very edgy, or slightly humorous. Art, crafts, and stationery supply stores can share mini-tutorials on how to make Halloween decorations. Bars can create unique Halloween cocktails – or modify popular cocktails to have a Halloween twist – and share the recipes on their social media feeds. Grocers can share recipes for making Halloween treats – using ingredients they sell, naturally. But your themed campaign shouldn’t only be about these one or two Halloween themed posts. 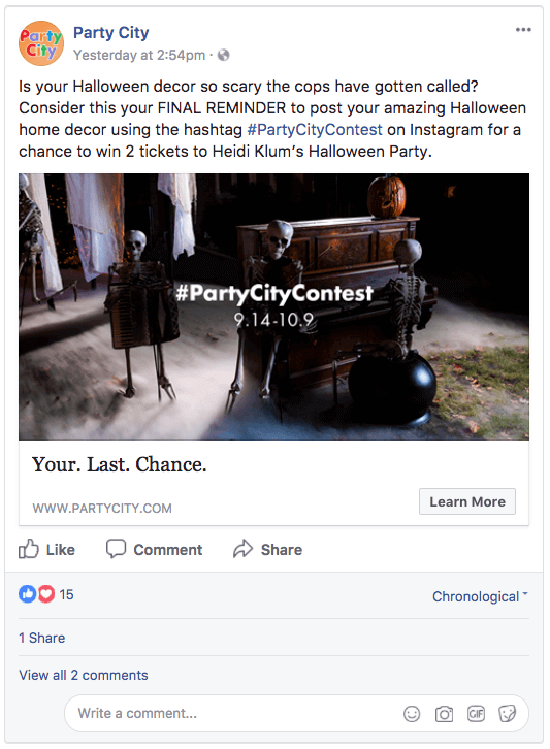 If you have any Halloween promotions running, they should also be promoted on social media through both regular posts, and as part of your normal social media advertising. If you’ve already discovered the benefits of email marketing, then you would also know that small themed changes to your email campaign can also boost sales, or drive brand awareness, particularly for some service related businesses, such as plumbers, contractors, medical, and even financial service providers. For many of these businesses, connecting your services to a celebration such as Halloween is not easy, but at the very least you can share valuable content – with a slight Halloween theme – with your audience. Dentists and doctors can share posts about the risks of too much candy, or the type of candy your children should avoid, and a company selling security services could share tips on how to stay safe when trick-or-treating. If you share any tips via your email marketing, include an image sized for sharing on Facebook or Instagram that features one or two of these tips – making it easy for people to share with their family, friends, or neighbourhood group. Just don’t forget to include some branding. And if you want to do more than just promote brand awareness with your Halloween themed email marketing, include an exclusive discount offer for one or more of your products or services. An important point to remember though is that you shouldn’t change the frequency of your email marketing, or even suddenly introduce an additional mailing. People who have signed up to receive your email marketing did so with a certain ‘promise’ being made in terms of frequency, and changing that suddenly could turn them off your email marketing, rather than encouraging them to continue supporting you. Halloween is also a good time to modify your ad copy for any Google Ads campaigns you have running. Halloween is a big event for some types of businesses, so specifically targeting Halloween related keywords could be a little more expensive than what you are used to, but that doesn’t prevent you from simply updating the copy in your ads, while continuing to target your standard set of keywords. Do some keyword research – although it should be expected that Halloween specific keywords could cost more, you should still research some keywords for this event that could relate to your industry. At the very least you might discover some keyword combinations you haven’t previously thought of, but you may still be able to target a few Halloween specific keywords for not much more than you usually spend. Modify your existing copy – even if you aren’t targeting any Halloween related keywords, your copy can still be updated to include mentions of Halloween. But try to keep it relevant to your industry and/or the products and services you offer. Promote special offers – if you have any Halloween promotional offers, or even Halloween specific products, make sure these are promoted in some of your ads. Make sure you create a sense of urgency by mentioning the number of days left until the promotion ends, or including the date when the offer expires. If you’re used to running Google Ads campaigns, but have never specifically targeted Halloween before, there’s no time like now to try it out so you can start learning what works and what doesn’t. If done right it won’t negatively affect your business or advertising ROI, but it may very well benefit you with a bump in sales. If your business has a mobile app – or Progressive Web App (PWA) – Halloween, like Christmas, is a good opportunity to add some themed elements to your app. Don’t limit yourself to only adding Halloween elements into the app itself, but consider giving your app icon a slight Halloween look too – a small change to your app icon could help it stand out on mobile devices, prompting users to open it to see what else is new. Naturally you shouldn’t only change the look of your app, you should also roll-out Halloween specific offers, promotions, and content. Halloween themed content you share via email or social media can also be adapted for your mobile app, along with any promotions you are running in general. But if you also want to drive mobile app specific business, include special offers or promotions that are exclusively available through your mobile app. Most of the games developed or distributed by King add a bit of Halloween flair to their app icons each year, but it is an idea that works for most apps, including business apps. And if you have a QR code in store that customers can scan to easily download and install your app, generate a custom QR code with a Halloween look and feel to it just for the month of October. Mobile app linked push notifications are a great way to alert users of special offers, promotions, and events you have on at any time. Although not all users of your mobile app will have enabled push notifications, your own analytics will reveal how frequently users who receive notifications respond or react to them. And if you have a physical location or store, combining push notifications with geotargeting make them even more powerful. Geotargeting works best when the area you target isn’t too large – not more than a 500m radius of your store – or if you target the location of a competitor, or complimentary business. By way of example, a hair salon could target customers visiting a nearby party décor or costume store, based on the assumption that anyone looking for a Halloween costume or party décor may want their hair styled for a Halloween event. This only works if these customers already have your app installed, so should ideally be done in conjunction with targeting customers when they are close to your physical location. Of course, location based targeting – or geotargeting – isn’t limited only to businesses with a mobile app. You can also run targeted campaigns using most social media platforms, and Google Ads, ensuring your business is exposed to potential customers when they are looking for a business like yours, and are already nearby. Large corporations and brands have tapped into the power of user-generated content (UGC), but it is really quite perfect for small and medium businesses, with limited marketing budgets and resources. And running a themed contest is a very easy way to get UGC. Halloween is all about dressing up, decorating, and making weird and wonderful treats, so invite your customers to share photos of their Halloween decorations, attempts (both successful and unsuccessful) at making Halloween treats like cupcakes, cake pops, and more, or them or their pets dressed up for Halloween. In the interest of driving brand awareness, run these contests on your top social media platforms, and make entry conditional to use of a specific hashtag, and entrants liking and sharing the post. 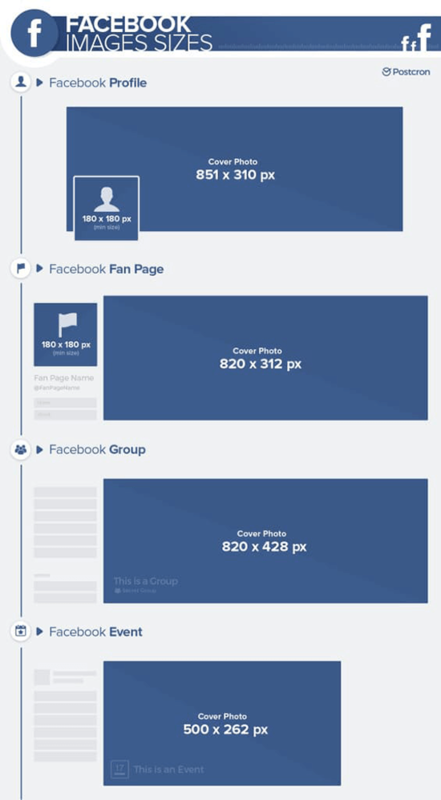 The Facebook algorithm has been modified over the years to view posts that ask for a share less favourably, so be sure to mitigate the risk of this happening by promoting the contest through a paid Facebook campaign too. The idea is to not only get user-generated content that you can use in future posts, but also to expose your brand to a new audience, which shared posts have a better chance of achieving. You can either offer a prize to the top one to three entrants, or have one main prize, but give all entrants a discount voucher or coupon to use in-store or online. Creating a Halloween ‘shop’ – instead of decorating your entire store, move all products that are either Halloween specific, or could be linked to use over Halloween to one high-traffic area. This mini-store will then make extensive use of Halloween décor. Only decorating your pay-points – whether your business has multiple standalone pay-points, or one centralised bank of pay-points, limiting your Halloween décor to these alone can help create a ‘holiday’ feel, without being too taxing on your budget. Creating a Halloween category in your e-commerce store – similar to the first point, if you have an online store, try consolidating all Halloween related merchandise into one themed store, making it easier for visitors to find items – either Halloween specific items, or items with discounts linked to your Halloween promotion. If you are posting Halloween DIY guides on social media – relating to décor, costumes, or even treats and baked goods – any products used in these guides that you sell should definitely be grouped together in a prominent location, since in many instances it would be the guides that bring some customers to your business. There’s an idiomatic expression about there being strength in numbers, and this can be very true when small businesses team up. If your business is one of a few other businesses in a retail hub, street section, or even a city or urban block, meet with the owners of each business and see if you can get them on board with running a group Halloween campaign. Each business decides on their own ‘treat’ to reward customers with when making a purchase; this can either be a once-off discount, or a free gift. The treat doesn’t have to be the same for each business, but the period in which customers qualify for a treat must be the same: either Halloween day itself, or for the whole month, or part thereof. Create promotional materials that highlight what each business is offering: the promotional materials shouldn’t be too cluttered, but should include branding for each business, and afford each business the same amount of space. The cost of the promotional material is shared across all participating businesses, and each business is also responsible for distributing some of the promotional material – be they flyers, or even graphics for sharing on social media. The benefit to each business is that the cost of promotional material is shared, but they also benefit from having their business promoted to a new audience, some of whom may turn into customers. This is an idea that can be repeated at any time during the year, but works very well during big promotional periods. Estée Lauder first launched their limited-edition solid perfume and powder compacts in the 1960s, but almost 50-years later the program is still running. The perfume and powder compacts have become sought-after collectables, and are only available in the weeks leading up to Christmas. Similarly, Clipa – a simple but very effective handbag hanger – launches a limited edition of Halloween Clipa’s every October, and they always sell out. One fan has more than 140 limited edition Clipa’s. Both brands have tapped into the power of launching a limited edition product once a year – one aimed at the Christmas market, and one making good use of the less crowded Halloween marketplace. 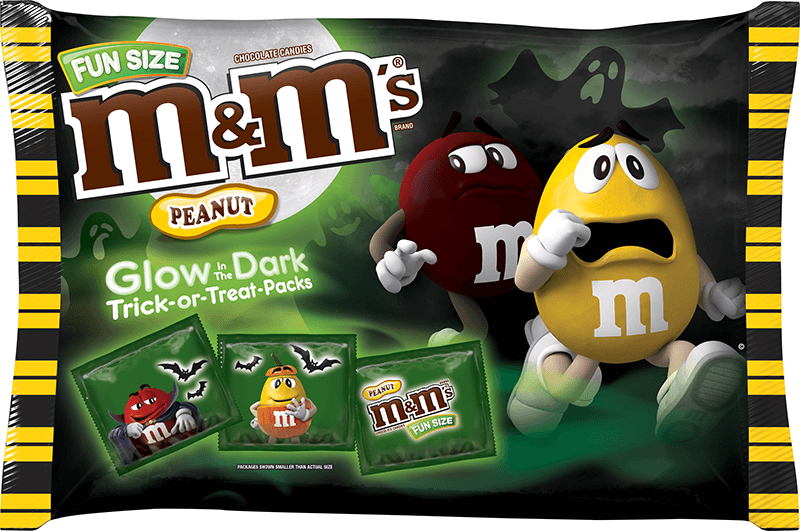 Many candy and chocolate brands also release special Halloween packs and varieties each year. It might be a bit late for you to consider the same for your business ahead of this year’s Halloween, but there is more than enough time to explore the possibility of having your own Halloween limited edition product from 2019 onwards. It doesn’t need to be a wholly unique product that is exclusive to your business, but it must be something that you are free to have customised. It doesn’t even need to be a collectable. The Pumpkin Spice Latte Starbucks introduced in 2003 isn’t a Halloween linked limited product – it is a fall specific flavour – but it is only available from September until December each year. As with many other limited time products, it has also become a very popular item, selling more than 200 million units over the last 15 years. And like Clipa launching their collectables in October, it makes it possible to link to a specific period or time-frame, so it becomes easier for fans to know when to expect it each year. And if you happen to launch a limited edition collectable, it’s also close enough to Christmas to turn it into an early gift suggestion each year. 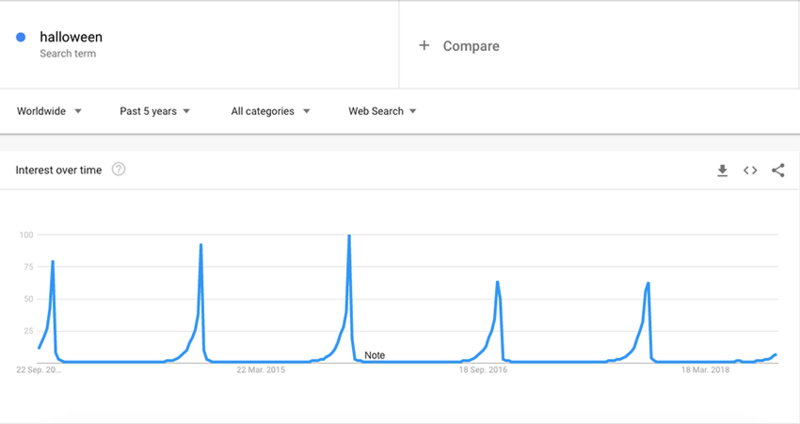 Google Trends data shows that searches for the term Halloween peak in the week leading up to Halloween, but that they also start climbing from late August already. This suggests that if you are running any promotional offers and special discounts for Halloween, they happen in the last week of October, at the very least. Launching the offers two weeks before Halloween might give you a little more exposure. Blog posts, social media content, and email marketing related to Halloween can all happen throughout October, but avoid doing a blanket campaign where every post is Halloween themed: limit them to no more than two or three posts a week, depending on your schedule. Similarly, your Google Ads campaigns can begin referencing Halloween from the start of October, up until the 31st of October. However, interest in Halloween décor, homemade treats, and costumes starts to climb significantly from August, so if you are planning on selling merchandise in any of these categories, you may want to time the arrival of the merchandise for late July so that it can make its way onto your shop floor – or into your e-commerce store – from the end of August onwards. 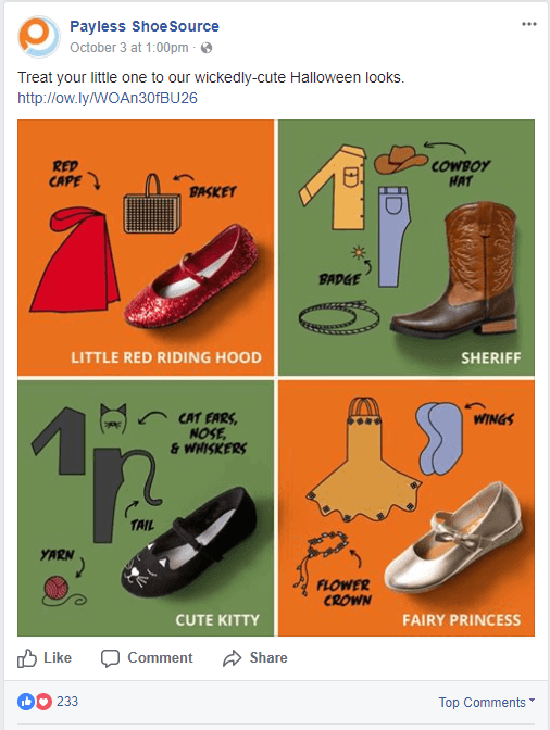 Target leaves their Holiday Shops up online throughout the year, but update them with fresh content, ideas, and products just before each ‘holiday’, and the Target Halloween Shop is refreshed at the start of September each year. 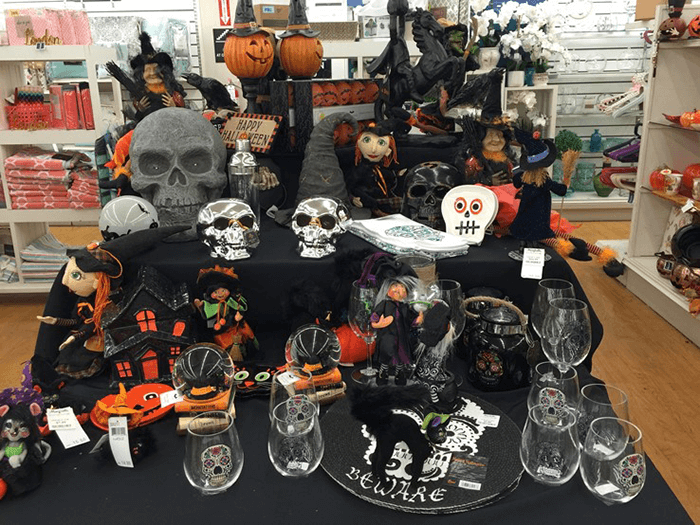 September might be a bit early to decorate your own shop, or to start offering Halloween discounts, but it is definitely not too early for putting Halloween related merchandise out on display. Most of the ‘holidays’ celebrated throughout the year centre around family and loved ones, but Halloween is all about fun – from young children going out trick-or-treating, through to adults getting dressed up for a more grown-up Halloween party. And it is important to remember this in your Halloween linked marketing: the primary aim is to bring in business and promote your brand, but being boring and lazy in your approach is not going to win you any fans. And just because you’re a small business doesn’t mean you should ignore the Halloween marketing campaigns launched by big brands and multinationals. You might have the resources or the budget that they do, but you can still get many great ideas from them that you can implement on a smaller scale, and using a much smaller budget. If not this year, then definitely next year, because like Christmas and Valentine’s Day, Halloween is celebrated every year.